A tract in Upper Galilee, now known as Abil-el-Ḳamḥ, taken by the Syrians under Ben-hadad (II Chron. xvi. 4). In the corresponding list of I Kings, xv. 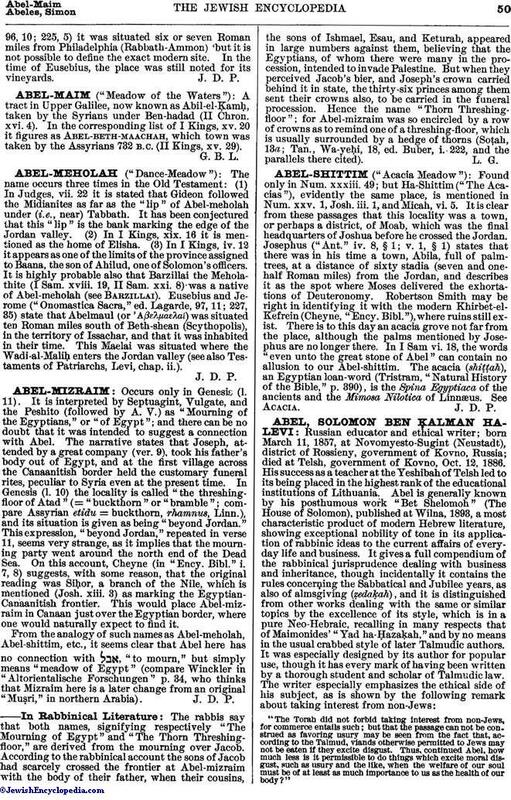 20 it figures as Abel-beth-maachah, which town was taken by the Assyrians 732 B.C. (II Kings, xv. 29).